SEE YOUR OFFERS NOW! DISCOVER HOW BY CLICKING THE VIDEO BELOW. Almost 70,000 square feet of gaming action. 1,200 slot machines. A dedicated poker room, race book, high limit slot area, and the largest table games pit in Northern New Mexico. You’re at Buffalo Thunder, the best casino in Santa Fe, and the largest in Northern New Mexico. The singing of the slots, the shouts of triumph, and the excitement of high stakes rolls are just a few of the reasons our players say we’re the best casino, and their ONLY casino. ​Add in the most rewarding Player’s Club program in the state, and you have a reason to join us every day. Every day features rewarding promotions, exciting drawings and the potential to hit the big jackpot. Is slots your game? Buffalo Thunder features the best and latest selection of your favorite slot games, including progressives. Watch for the next slot tournament for a chance to score big! If you’re more into strategy of cards, Buffalo Thunder offers an exciting selection of table games featuring roulette, craps, dice and a variety of poker games and blackjack. And, if you’re into poker above all else, you’ll love our dedicated Poker Room. A quiet, enclosed area just for poker players, offering food service and television so you don’t have to miss the game while you’re playing. The Poker Room features weekly tournaments and special event tournaments. Sports, Horse and Dog racing is just a step away from the Poker Room in the Thunder Race & Sportsbook. 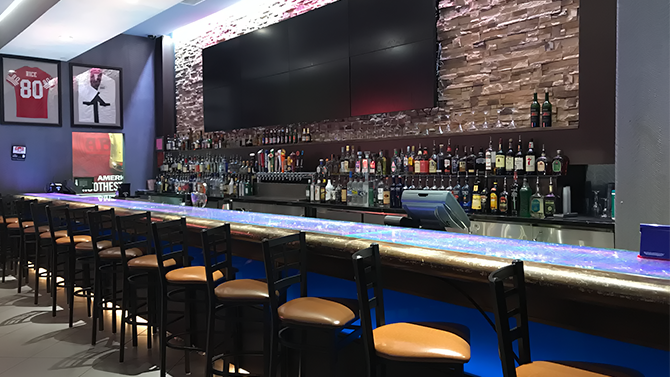 Featuring state-of-the-art technology and full service bar area, Thunder Race & Sportsbook is the best place to wager on the big game and the tracks. Experience the best casino action at Buffalo Thunder Resort and Casino, just 15 minutes north of Santa Fe. It’s the gamer’s game. Simple in its rules, complex in its variations and nuances, Blackjack offers a thrill for every card player from the novice to the experienced. The Pit at Buffalo Thunder features 12 Blackjack games, two with the House money side bet for a larger win. Alongside the Blackjack tables are two Roulette. Interested? 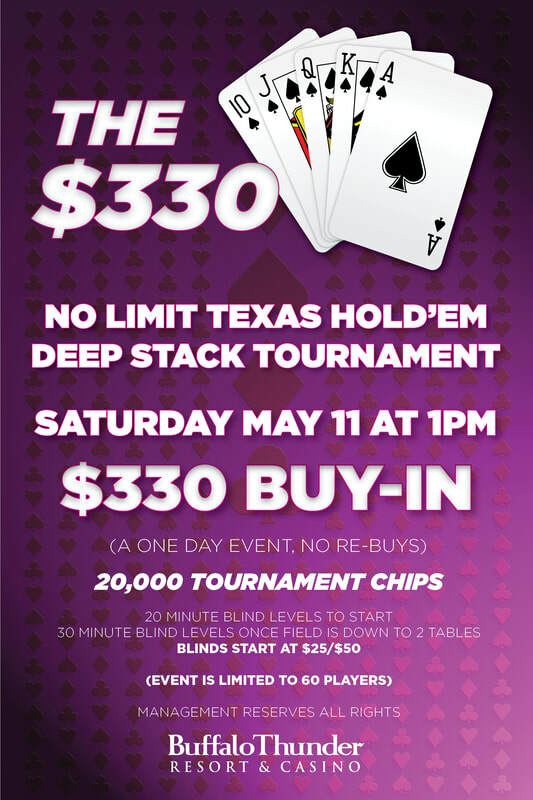 Stop by The Pit at Buffalo Thunder Resort and Casino and see where the chips may fall. Behind the clear glass doors lie 8 state-of-the-art tables. Private, comfortable, and casual, the Poker Room features a wide variety of limit, no-limit, and pot-limit Hold ‘Em and Omaha games for the novice and skilled player alike. Players will appreciate the variety of tournaments, promotions. Perks? How about tableside dining, adult beverage service, and 12 TVs so you don’t miss your big sporting event. Open daily at 9am. Are you dedicated and ready to move your career in a positive new direction? Learn about and apply for career opportunities with the Pueblo of Pojoaque and Buffalo Thunder Resort and Casino. Click the link below and see what opportunities awaits you. For information on Exciting casino entertainment, promotions & giveaways, follow us on social media.